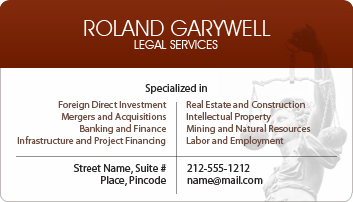 2x3.5 Custom law firm business card magnets 20 Mil round corners will allow you pound a nail deeply in consciousness of your prospects and clients. 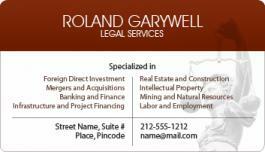 These custom legal magnets feature full color imprints and they will easily feature over refrigerator door or cubicles. These personalized magnets are ideal for law services marketing and can be distributed during public interaction events, community events and other occasions. When they get entangled in legal problems they will find you easily. Order today to get started! Request a quote to know wholesale savings for these 2x3.5 personalized law firm business card magnets 20 Mil round corners.